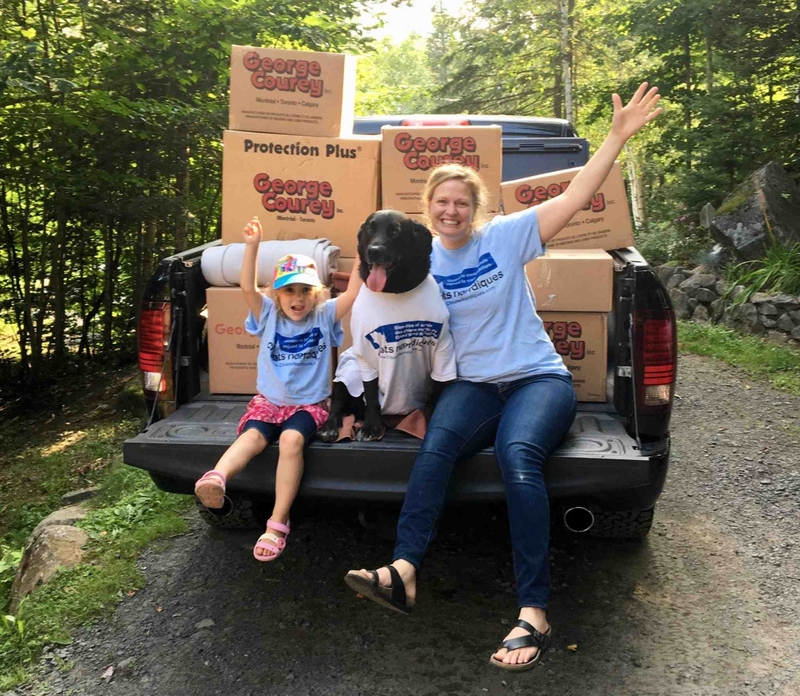 George Courey Inc. recently donated healthcare products to Chiots Nordiques, a local non-profit organization devoted to regulating the population of dogs in Northern Quebec. Various linens, such as blankets and sheets, were sent to Lisa Barrett, a volunteer with Chiots Nordiques. The Chiots Nordiques team travels up North to provide free spaying and neutering operations, vet exams, vaccines and other health services to the animals. Controlling the canine population in this area is important for the dogs themselves, but also for local communities in the region by reducing the threat of danger from packs of abandoned stray dogs. Chiots Nordiques also performs important work like facilitating the adoption of northern dogs to loving families in more southern regions. “We love receiving positive feedback from our clients about how much they love GCI products, but when the client is a group of cute puppies, it’s even sweeter!” – Jeff Courey, COO of George Courey Inc.